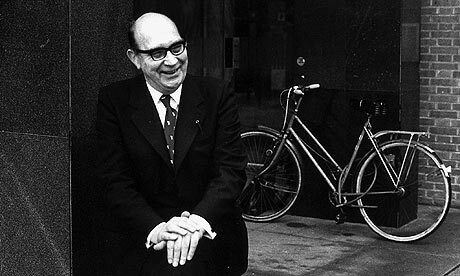 If we read the biography of Philip Larkin, we will probably concede that this man who spent the biggest part of his life in Hull, North Humberside, was not the nicest guy in the world. Some spoke also about his misanthropy. But this librarian and poet, known also as the "master of the ordinary" (the definition belongs to Derek Walcott) wrote wonderful poems. Recently Farrar Straus & Giroux published The Complete Poems edited by Archie Burnet, a heavy book that becomes the opportunity to discover the author of High Windows and to detect the meeting point between his poetry and the Great War (he was born four years after the end of World War One). We will so enter a remarkable point of view on the First World War, with particular reference to England, by reading the verses of MCMXIV, always sheding a new light on those years and closing with that famous "Never such innocence again". The poem is included in The Whitsun Weddings, his 1964 book.